Ira Winkler, president and co-founder of Secure Mentem and author of several books, most notably Spies Among Us, Corporate Espionage and Zen and The Art of Information Security, will deliver the keynote. Winkler is one of the foremost experts in the human elements of cyber security and is known for the extensive espionage and social engineering simulations that he has conducted for Fortune 500 companies globally. He continues to perform these espionage simulations, as well as assisting organizations in developing cost-effective security programs. Winkler and his work have been featured in a variety of media outlets throughout the world, including CNN, The Wall Street Journal, USA Today, San Francisco Chronicle and Forbes, among others. Also speaking is Kevin T. Carroll, chief counsel to the U.S. Council on Transnational Organized Crime and a member of the Senior Executive Service (SES-III). Carroll previously served as senior counselor to Secretary of Homeland Security John F. Kelly and House Homeland Security Committee Chairman Peter T. King. He will speak about what the government is doing to enforce federal law with respect to transnational criminal organizations and proposed legal amendments to thwart cybercrime and intellectual property (IP) theft. The SmartFlow Anti-Piracy and License Compliance Summit is the premiere event for anti-piracy, license compliance, and cyber security technologies. It brings together key technologists, attorneys, and executives to discuss the critical issues and best practices for protecting software intellectual property from piracy and unauthorized use. The conference will be attended by the world’s leading software companies involved in electronic design automation (EDA), computer-aided design (CAD), scientific computing, building information modeling (BIM), geographic information systems (GIS) and other relevant software applications. On October 6, a SmartFlow User Group meeting will be held for clients only. New features in the 2017 versions of SmartFlow Enterprise and Professional will be demonstrated and a roadmap for future products presented. There will be a workshop on advanced detection methods, as well as hand-on training sessions and a question and answer session with the SmartFlow research and development team. The summit is by invitation only. 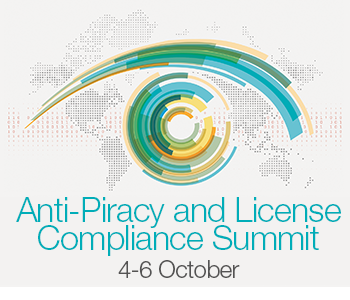 For more information, the complete agenda and to request an invitation, visit smartflowcompliance.com/smartflow-anti-piracy-summit-2017.